Rich Heath aka Soularize hails from London by way of Leeds and is currently based out in Madrid. Since 2010 he has been mashing together his musical influences of heavy metal, hip hop, chill out and, of course, drum and bass. For him drum and bass is a release of energy which he tries to express through his own music; sometimes smooth, warm and tranquil, and other times just full on deep, dark and techy, but always looking to provoke emotion in others. 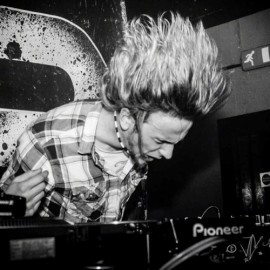 Equally at home on the decks as in the studio, Soularize has featured on many line ups across Europe with well respected events such as Momentum, Central Beatz, Cheeky Mondays and Submerge. With a portfolio of strong previous releases on Disturbed Recordings and Darkness Hides, Soularize signed exclusively to Broken Audio in 2014. With many more releases and DJ guest appearances in the pipeline, Soularize will be pushing musical boundaries for many years to come. 4. Your perfect day off would be doing?